Cuttlefish Casting might spark an interest in those who are aware of what it is, but it can be even more intriguing to those who have no idea what it is. In short, cuttlefish casting is a quick and fairly accurate way of casting. The cuttlebone of an ordinary squid serves as the mould material. You might have seen these on the beach and even used it for your birds to sharpen their beaks on. Does that sound more familiar? Okay, so let’s get a move on! Let’s use a ring as an example to explain the process. A medium sized cuttlefish should work perfectly fine when cut in half and then put against each other,It should be so flat, that no light should shine through when held together so the halves can be rubbed against each other in order to flatten the soft sides. Place the ring or design in the thickest part of the cuttlefish and then place the other half on top until the two ends meet, once again. Next up, you will remove the mould halves and model, without damaging the mold in the process. Using wax carvers can make this easier. Cut a funnel shaped sprue into each halve from the design up to the top opening of the cuttlefish- it must be around 5mm wide. Cut small vents for air on the sides to free pressure as the metal enters the mould. Let the mould dry under a warm surface such as a lamp. 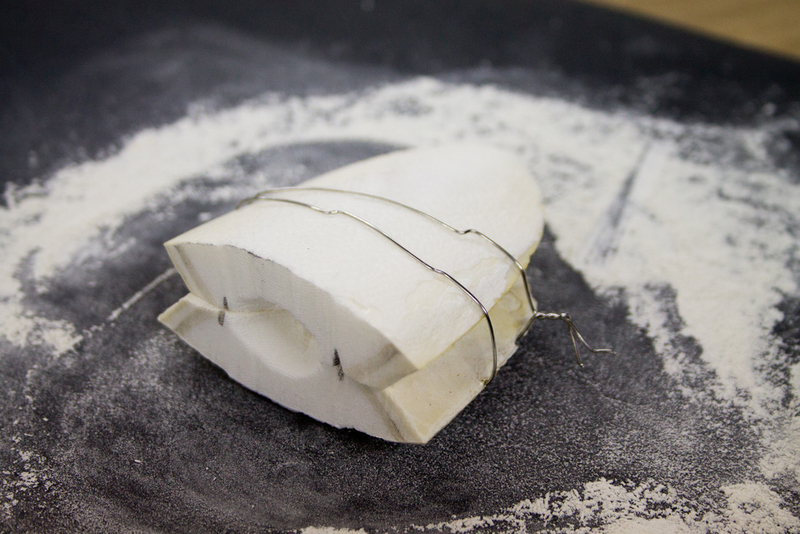 Then when dry wrap the two together tightly with binding wire so that it doesn’t shift or move when being cast into. In general the molten metal should be poured at the lowest temperature possible in order to prevent the mould from being permanently burned.If you pour too slowly it will solidify quickly and not cast correctly. Sprinkle a little borax in with your molten metal to make sure its perfectly clean. 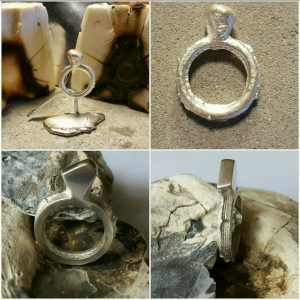 With the three points made above, you can now start your journey with cuttlefish casting and create anything from rings to necklace charms. Our casting goodies will be on a special as of Friday the 28th of July 2017. Get creative, get innovative and let your hobby grow into a passion.